Before heading out to the RVA Earth Day festivities Saturday, swing by the South of the James Market for our second to last market of the “winter” season. 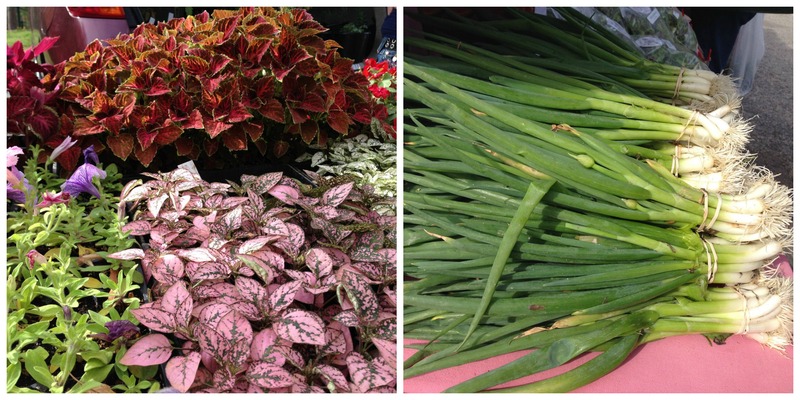 We call it the winter market but truly spring has already sprung at SOJ! We’re seeing more produce and seedlings each week along with an increase in eggs. It’s a good time to make a market frittata with Bonnyclabber Cheese, Walnut Hill greens, Broadfork Farm scallions, Steve Haas Mushrooms and sausage from Babes in the Wood, Salt Pork or Whispering Winds Farm. Delicious! Our vendor list for Saturday is below. With only two more weeks of our winter season, you may be curious about the Summer Season vendors. 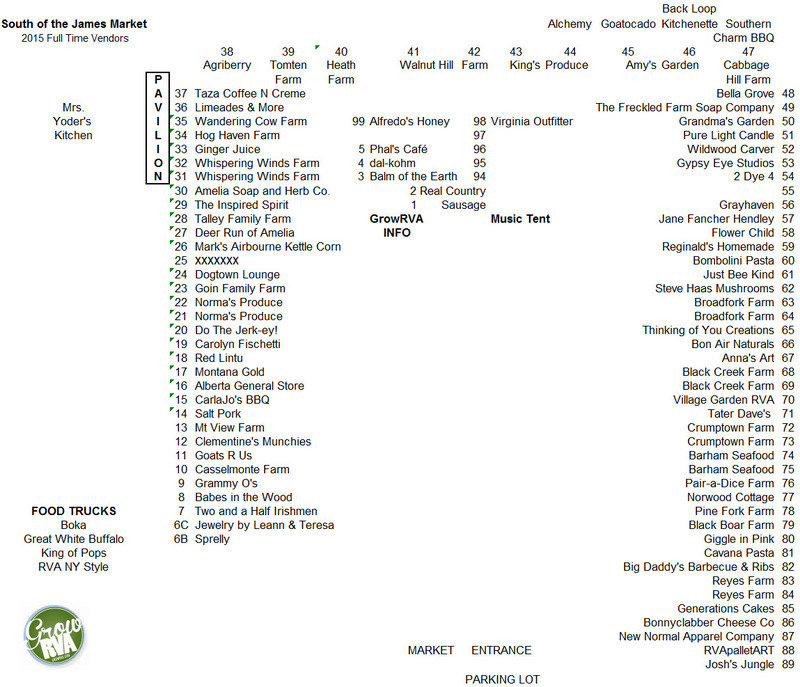 Below is the market layout that will give you the scoop on the full time vendors. Also take a look at our website: www.growrva.com/vendors for more details on each vendor. GrowRVA.com has been given a face-lift and we’ve added searchable lists with vendor descriptions including links to their web sites. We’re looking forwarded to an incredible season! We hope you are too.